Many of the writers I work with – especially ones who had previous success with their work – struggle with the first draft. They know it’s their first draft – the vomit draft – but want it to have the quality, genius and polish of a final draft. You’re heard it said a million times before: Writing is rewriting. Despite your best intentions, in all likelihood the majority of your first draft will end up in the trash. To help further illuminate this topic, I recruited the authority on rewriting, Paul Chitlik, who I first got to know through his seminal book, Rewrite. Paul’s book is used not only by novices, but also by pro writers who revisit his guiding principles when rewriting their work. In this guest column, Paul generously shares his perspective and insight on the process (and importance) of the Rewrite stage of the work. There’s no denying the process. You think about characters and their stories, you scribble a few notes, you make an outline, you write the story or you go straight to the script, you reach a first draft. Then what? You rewrite. Everyone does. No one shoots a first draft, not even the best director-writers. Not even Academy Award winners. Not even film students. Or, at least, they shouldn’t. The first draft really is just “an artist’s conception” of what the final product is. It still needs a lot of work before it’s the final product. And in the end, a lot of people are going to need to work off your script, so you will need to have it in the best shape possible. That means rewriting until you can’t rewrite any more. It means reading and re-reading until you can’t stand it another minute. Yes, it’s painful. But it doesn’t have to be once you give yourself over to it and admit that each word that came out of your computer and found its way to your printer is not a diamond yet, that each sentence is not mandated in its present form to live an eternal life, that each scene or character is not dictated by the screenwriting god. That all is mutable. That even when you reach what you think is perfection, your screenplay will be changed by development people, the director, the actor, and, most probably, the editor. So, first thing, you have to give up on the notion that it can’t, it shouldn’t, be changed. It will be changed. Best, then, if you’re the one to do the changing. So once you’ve got a first draft that you’re happy with (lucky you, to be happy with a first draft), what do you do? What is the process? It pays to have a circle of trusted advisors: people at least on your level or above in terms of screenwriting (not your best friend or your significant other and especially not your mother – only people experienced in this field). Share your script with a couple of them. Listen to their feedback. Make them be honest. Be prepared to hear the truth. You can handle it. If one person points out an issue, listen. Think about it. If it helps to change and still fits your vision, then consider the change. If two people point out the same issue, consider more strongly changing it. If three people say the same thing, well, hit the keyboard. I find that the best thing to do after getting input is to redo my beatsheet and change things appropriately. It’s easier to make changes at that level and see if they work than to tackle the whole damn script at one time and then find out that the change didn’t work after all. Of course, if you’re writing as an employed writer (work for hire), then you must consider every comment. But just think about what they comment on, do not necessarily employ their way to make the changes. They may say a scene just lies there (as one EP did to me), but he/she probably has no idea what to do about it (add conflict, for one) and will probably steer you in the wrong direction (“Make his hat white so we know he’s the one we like.”). Then, when you’ve got the beatsheet to where you want it, compare it to your script again and rewrite the scenes that need rewriting, add scenes that need to be added, take away those that need to go, and make it whole again. Then put it in your top dresser drawer (or send it to yourself in an email), and go to Hawaii for a couple of weeks (if only in your mind). Then pull it up again and see what you think. Chances are, you’ll have some more changes to make. Play around with it a little, and when you think you’ve done everything you can to it, send it out to your trusted advisors (not the same ones, please) again and see what they have to say. Repeat as necessary. When you’re totally convinced that there’s not a single thing you can do to make it better, it’s time to give it to your agent/manager/producer friend who said she wanted to read it and go out and have a boilermaker in your honor. You’ll need it. For moral support during the process, I recommend reading my book, “Rewrite: A Step-by-Step to Strengthen Structure, Character, and Conflict in Your Screenplay,” second edition due out in November from Michael Wiese Productions. Paul Chitlik has written for all the major networks and studios. He was story editor for MGM/UA’S “The New Twilight Zone,” and staff writer for Showtime’s “Brothers.” He has written features for Rysher Entertainment, NuImage, Promark, Mainline Releasing, and others. He has directed episodes and been coordinating producer for “Real Stories of the Highway Patrol” and “U.S. Customs Classified.” He wrote and produced the first network movie, “Alien Abduction,” shot on digital video for UPN. He also wrote, produced, and directed a special for Travel Channel on Ringling Bros., Barnum and Bailey Circus. He received a Writers Guild of America award nomination for his work on “The Twilight Zone” and a GLAAD Media Award nomination for “Los Beltrán.” He won a Genesis Award for a Showtime Family movie. 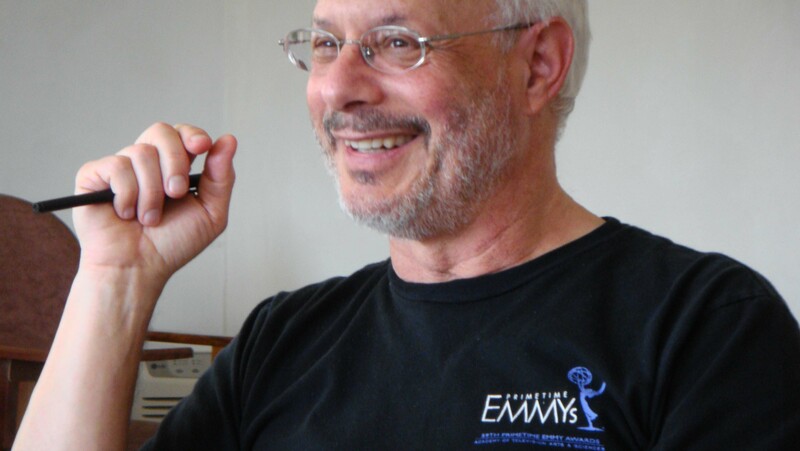 He has taught screenwriting in the Professional Program and the MFA program at UCLA; at ESCAC, the film school of the University of Barcelona, Spain; and EICTV, the film school of Cuba. He is currently a clinical assistant professor at Loyola Marymount University. He has advised the Chilean film development board (CORFO) on film projects and has served as Writer in Residence at the Ibermedia Colloquium in Santiago, Chile. He also consults for ScreenAustralia and ScreenWest, Australia. His exclusive rewrite seminars have taken place in Cortona and Cairo Montenotte, Italy; Berkeley and Los Angeles, California; Estanyol, Spain; Ver-sur-Mer and Burgundy, France. He is the author of three novels, including the Berns series of mysteries; and his screenwriting book, REWRITE, now in its second edition, is published by Michael Wiese Productions. He recently completed production on the feature “The Wedding Dress,” which he wrote and directed. It is due for release in November, 2013.